Jim is a member of the litigation department whose practice focuses on civil litigation and business disputes with an emphasis on business torts, breach of fiduciary duty, corporate governance, unfair competition and intellectual property litigation. He advises clients on risk avoidance and dispute resolution, and serves as a mediator for business disputes. He also counsels clients on corporate governance in both the for-profit and non-profit sectors. He chaired the firm's Litigation Group from 1992 to 1996. 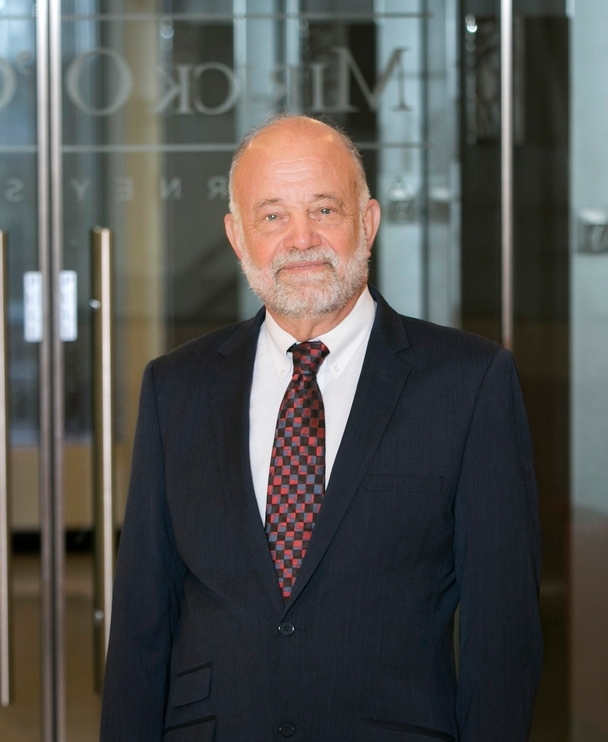 Jim has over 40 years of experience in trial and appellate courts in Massachusetts. He is admitted in several other jurisdictions, including the U.S. Courts of Appeals for the First, Second, Third and Seventh Circuits in Boston, New York, Philadelphia and Chicago, respectively; as well as the U.S. District Courts for the Districts of Massachusetts and the Northern District of Ohio; and the U.S. Tax Court. He has also been specially admitted for particular matters in state and/or federal courts in New Hampshire, Connecticut, Illinois, Texas and Washington State. He is an experienced negotiator and has served as a court-appointed master and mediator in complex business disputes. Jim has been named a Massachusetts "Super Lawyer" by Boston magazine and Law & Politics every year since 2009. He was selected by his peers for inclusion in The Best Lawyers in America© 2017 in the fields of Appellate Practice; Banking and Finance Law; Commercial Litigation; Corporate Governance Law; Corporate Law; and Litigation – Intellectual Property (Copyright 2017 by Woodward/White, Inc., of Aiken, SC). First listed in 2012. Jim has received an AV® Preeminent Peer Review Rating by Martindale-Hubbell, the highest rating available for legal ability and professional ethics. Jim holds leadership positions as an officer and trustee in cultural and education organizations including the Worcester Art Museum and the American Antiquarian Society an internationally renowned independent historical research library. In 2014, the Worcester Telegram & Gazette recognized Jim’s service as president of the Higgin’s Armory Museum with the Vision 2014 Cultural Enrichment Award. Massachusetts Bar Association Annual In-House Counsel Conferences (2006-2016); Organizer and Panel Chair leading panels on professional responsibilities of in-house counsel for corporate governance, best practices for internal investigations, corporate risk analysis and risk management, etc.